When the Sanctuary Grande was being designed, the developer Bill Lemmon of Lemmon Development was looking for something other than a fountain to sit out front. Debbie Hajba, Marketing Coordinator for Danbury Senior Living, who owns Sanctuary Grande, said, We were looking for a unique piece of art that would convey the idea of what a senior living facility means to the community. So, after a statewide search of proposals from more than a dozen artists, Patrick Buckohrs Generations was selected. 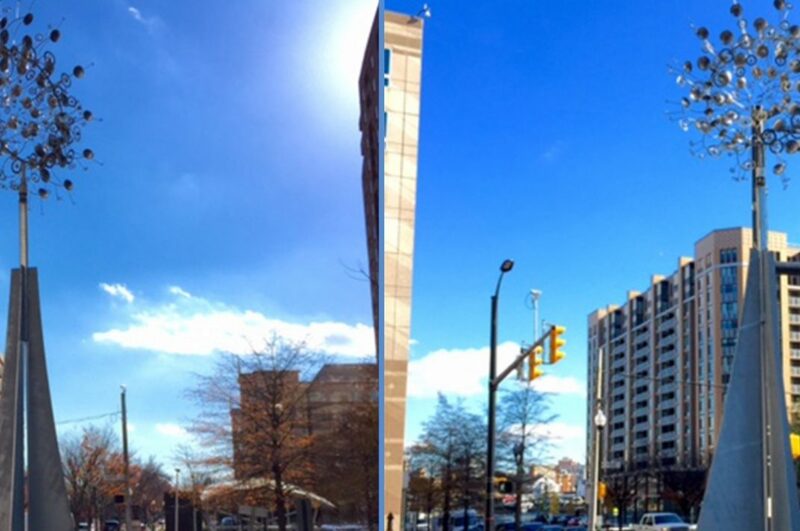 "Even with the constant exposure to the elements, including hard, snowy winters, Buckohr knew galvanizing would provide maintenance-free corrosion protection for years..."
Constructed from steel, glass, and internal lights, Generations took more than six months to complete. The sculpture is the likeness of a couple holding a child overhead as the child clutches three balloons. According to Mr. Buckohr, The adults are passing their life experiences on to the next generation facing the challenges of the future. Challenges were a big part of the project, which required 799 individual rings cut from tubular steel and the bases of 799 various colored bottles to fill the rings. 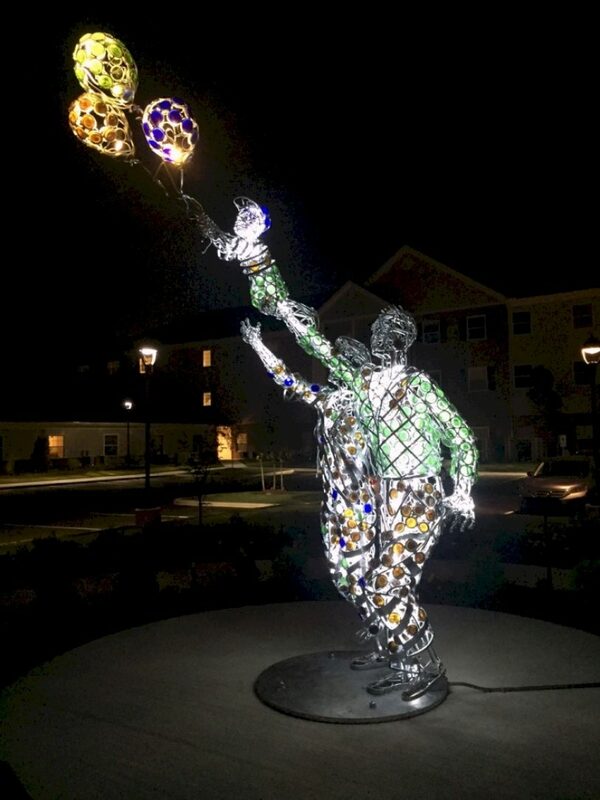 The metal work was completed in two units; the adults poised on the base, and the child holding the balloons. One easy part of the process was the selection of the protective coating. 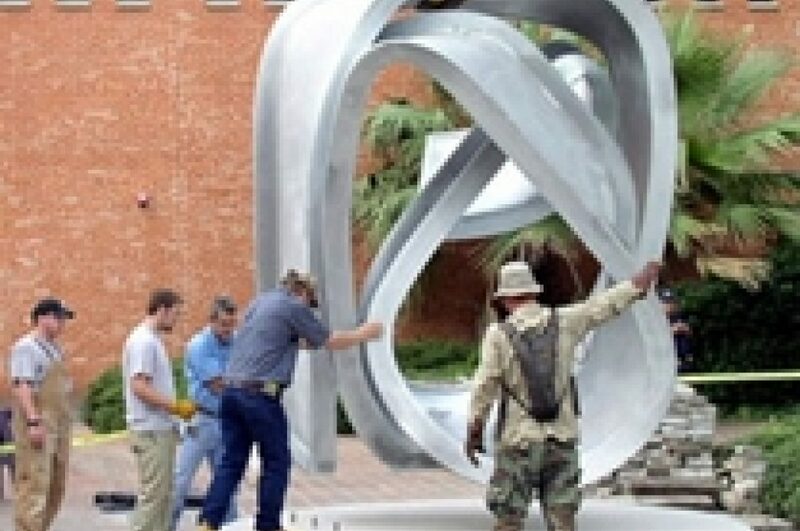 Mr. Buckohr was quick to recommend the sculpture be hot-dip galvanized. He understood the time, effort, and expense involved in the sculpture would easily be preserved for generations by utilizing hot-dip galvanizing. He also believed the zinc patina would blend well with its surroundings, allowing the visitor to truly appreciate its meaning  the passing of generation to generation. Even with the constant exposure to the elements, including hard, snowy winters, Buckohr knew galvanizing would provide maintenance-free corrosion protection for years. Working closely with the galvanizer, Mr. Buckohr designed the pieces with internal support and lifting points for handling during the galvanizing process. 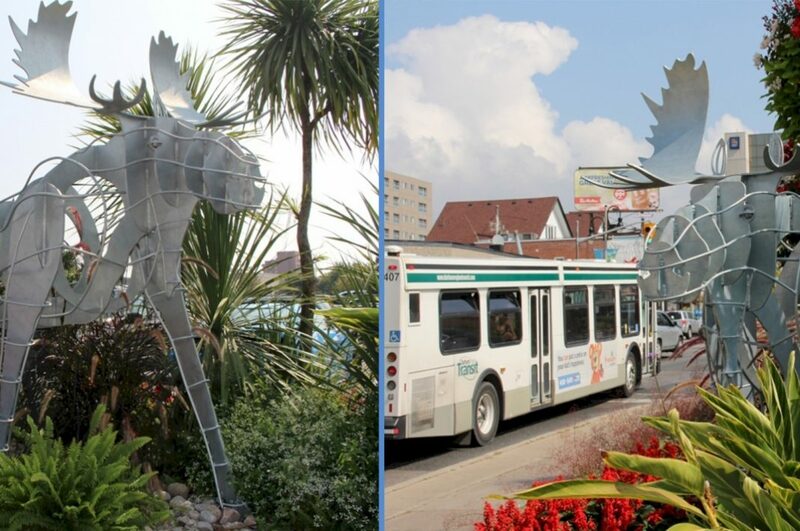 To further promote a high-quality galvanized finish, the production staff of the galvanizer constructed a temporary rebar cage to allow the sculpture to be handled without any risk of deformation. The artist and galvanizers exchanged high fives as the sculpture was withdrawn from the kettle intact and well protected. Once the galvanizing was complete, installation of all the bottle bases and internal lighting with bulbs and wiring gave the structure its unique, finished look. Buckohrs beautiful sculpture connects meaningful images of time; past, present, and future. Standing strong and tall in front of the beautiful new Sanctuary Grande facility in North Canton, Ohio, the sculpture welcomes visitors of all ages. 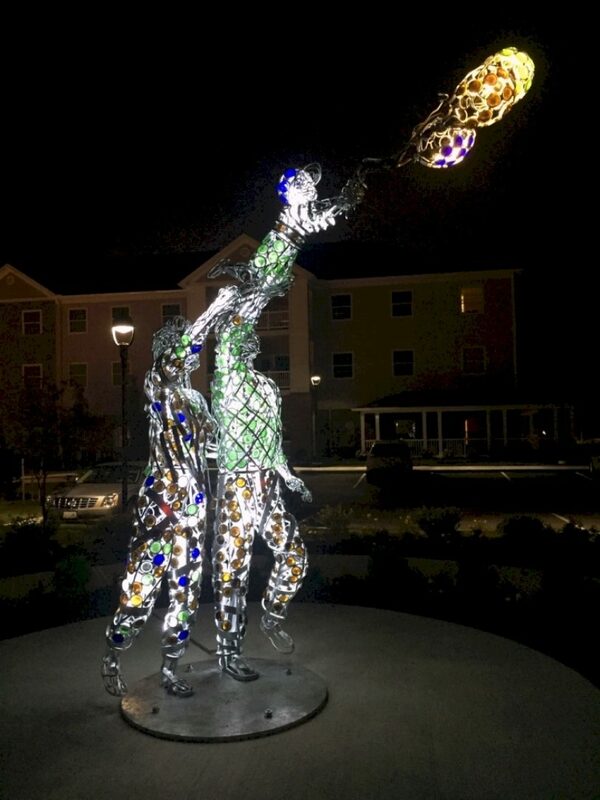 Buckor's visionary sculpture was built to weather the challenges of time, and hot-dip galvanizings superior corrosion protection ensures his work will be enjoyed for generations. This project consists of a fourteen-foot-tall sculpture and base. It is the likeness of a couple lifting a child overhead as the child clutches three balloons. 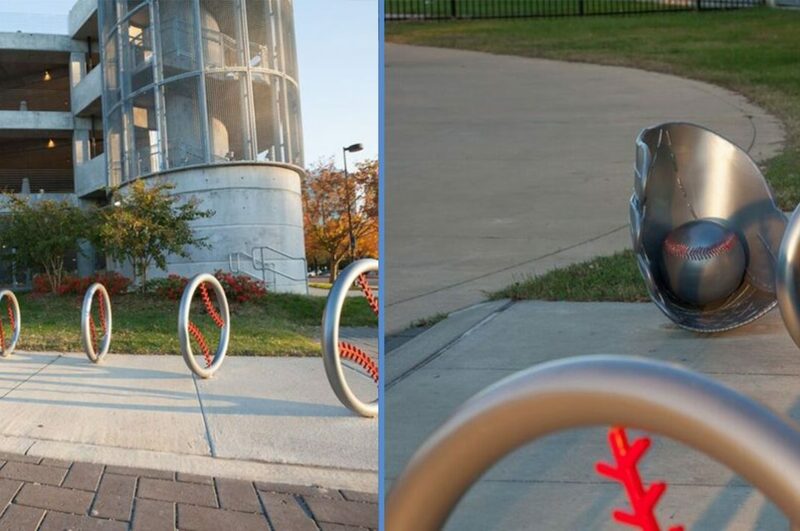 The base is circular plate steel, and the figures and balloons are constructed from 799 rings cut from tubular steel. The rings are welded together, and additional shape is formed from sheet steel. All of the plate steel, rings, and sheet steel were hot-dip galvanized.